Tell us about yourself, your organizational needs, and what you'd like to get out of the training. Our Rights in Play program focuses on transforming schools and communities through fostering education of rights and responsibilities. We strongly believe that awareness and education about human rights will make our youth engaged and active citizens, contributing to making the world a more peaceful and just place today and in the future. We've proudly conducted our Rights in Play program (formerly Rights in the Sun) since 1999. 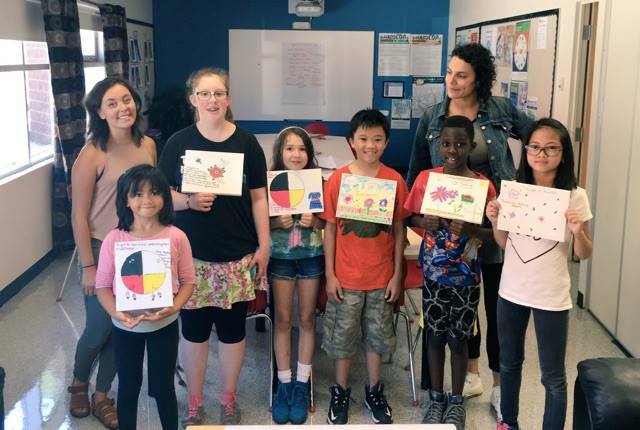 The program features an interesting, interactive and fun curriculum of games and activities about human rights that have been delivered in schools and summer programs throughout Alberta. Reaching out to youth between the ages of five and 25, Rights in Play provides them an environment to learn about critical human rights issues, yet maintaining the energy and excitement of engaging programming. We've also created a training program where educators and camp counsellors are trained how to integrate the curriculum into their daily activities in the classroom and in camps. The program can explore various human rights themes including discrimination, the environment, women’s rights, and building respect and compassion. The program focuses on emphasizing solutions as well as the challenges around human rights. We like to include activities that instill a sense of social cohesion, social responsibility and belonging in participants. We want to acknowledge the support of the Service Canada Summer Career Placement Program for helping us sustain the summer programming in 2015 during the summer months. 2) A more in-depth exploration of human rights issues through multiple sessions over an extended period of time. If you'd like to book a session(s); please fill out our form on the left!